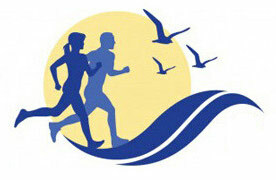 Beverly Hospital Orthopedics & Sports Medicine is hosting a special evening that’s all about running and more! The free lecture will be held on Thursday, March 27 from 6 p.m. – 8 p.m. in the Lecture Hall at Beverly Hospital, 85 Herrick Street, Beverly, MA. The Lecture Hall is located inside the main entrance of Beverly Hospital. Space is limited and registration is required by calling 888-253-0800. Presentations from orthopedic surgeons and physical therapist on timely topics including common knee injuries for runners will take place. You will have the opportunity to meet Beverly Hospital’s Sports Medicine professionals and connect with other runners. Presenters will include: Dr. John Boyle, Dr. Anthony Schepsis and Beth Ann Hayes, PT. Refreshment will be served. i already register!! Who else???? Hi Rosie – I’ll be there! Dr. Boyle is an awesome runner/doctor!